In this recently launched Brick Underground column, we celebrate the immigrant enclaves that make our city the vibrant metropolis it is. We're proud of our melting pot—a mixture of cultures, languages, and customs from around the world. This time we're exploring Little Manila in Woodside, Queens. Filipinos in the city know that when they're homesick, Little Manila in Woodside, Queens gives them a jolt of the Philippines, thanks to the small businesses that line its streets. These retail shops and restaurants are a study in generational contrasts. 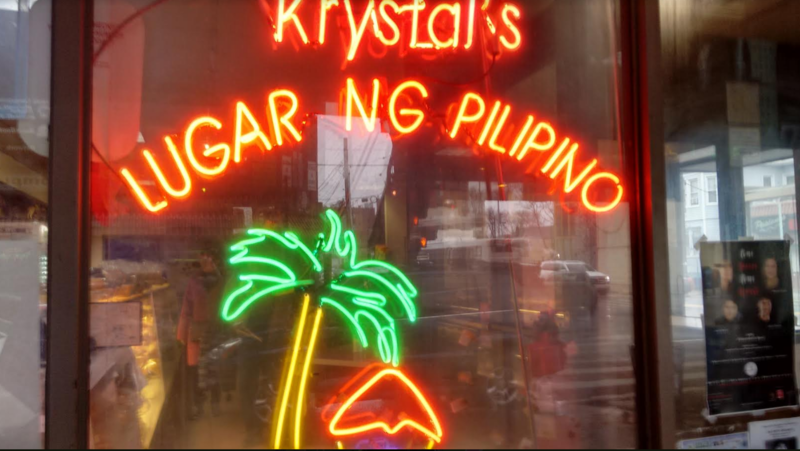 At one end of the strip (Roosevelt Avenue from 61st Street to 70th Street) Avenue), you can find Filipinos in their late 70s sitting over a leisurely, and classically Filipino, breakfast of longsilog (Filipino sausage, eggs, and fried rice—seriously delicious!) at Krystal’s Cafe, at number 69-02. The vibe is quiet and cozy. Walk just a few blocks to number 63-12 and the vibe does a 180 as you enter another Filipino-owned small business, Richard Mendoza’s Filthy Rich Barbershop. Mendoza, who was born in Woodside and still lives there, has built an international reputation by creating hairstyles for hip-hop celebrities like Drake, Big Sean and Flo Rida. Some of Rich’s customers fly into LaGuardia and go straight to his shop, then post-haircut, fly out again. Local folks get their hair styled at Rich’s, too. This fifth-generation hairstylist has been so successful that he’s recently opened a satellite shop in Williamsburg. 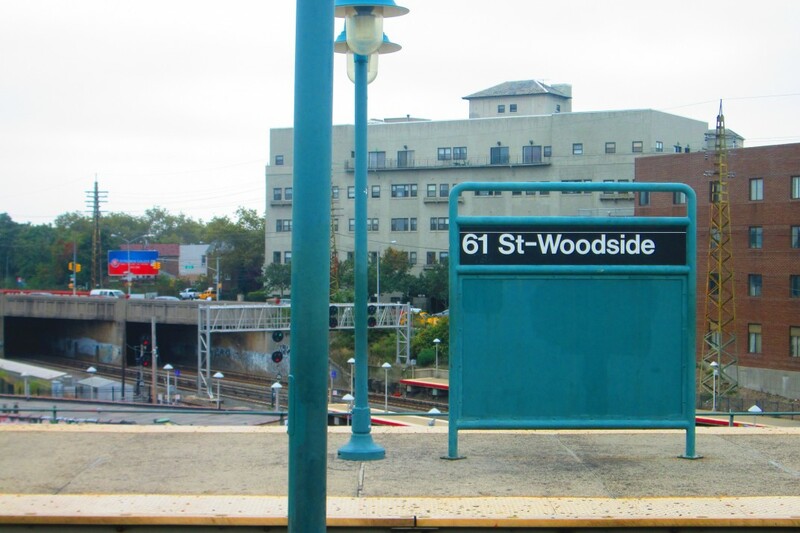 If, unlike Mendoza's celeb clients, you’re jet- and limo-less and need to travel by public transportation, Woodside is serviced by the 7 train, which runs along Roosevelt Avenue with stops at 68th Street and 61st Street. The trip from the 61st Street station to Midtown is about 30 minutes. Those who prefer to cut their commute time to one third of that can take the LIRR to Penn Station, quicker but more expensive at $8.75 a ride. Steve Raga, New York State Chair of the National Federation of Filipino American Associations, has lived in Woodside for over 12 years. Raga says that the beginnings of Woodside’s Little Manila date back to the 1970s, right after passage of the 1965 Immigration and Nationality Act of 1965, which opened the immigration process up to skilled workers from around the world. That’s when Filipino doctors and nurses and other healthcare workers began to arrive in NYC in droves, and since Woodside is not far from Elmhurst hospital where many of them found work, it was a logical place to settle for them. Also, 95 percent of Filipinos are Catholic, according to Raga and Woodside, primarily an Irish neighborhood at the time, had a well-established Catholic church, St. Sebastian’s, which welcomed the newly arrived immigrants. According to Raga, there are 50,000 to 70,000 Filipinos living in Woodside now; 56 percent of all Filipinos living in NYC live in Queens and Filipinos are the fourth largest Asian immigrant community in NYC; Chinese, Koreans, and Indians take the first three spots. 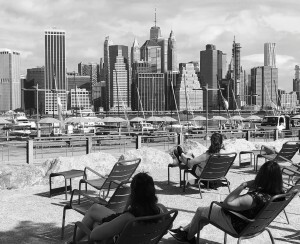 Filipinos in Woodside are from all over their country, an archipelago made up of 7,107 islands and communities that veer from completely rural to decidedly urban. But Raga says that most have had some experience living in large cities, either having been born in one or having gone to school in one. Their national language is Tagalog. (A Filipina tells you the right way to say it here. As the site says, “Please don’t pronounce it like the English 'tagalong'.") The language has 52 dialects. 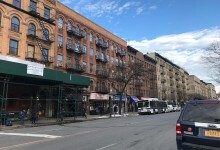 Just as the residents of other ethnic enclaves in NYC, Filipinos in Woodside worry about increasing costs for commercial and residential spaces. 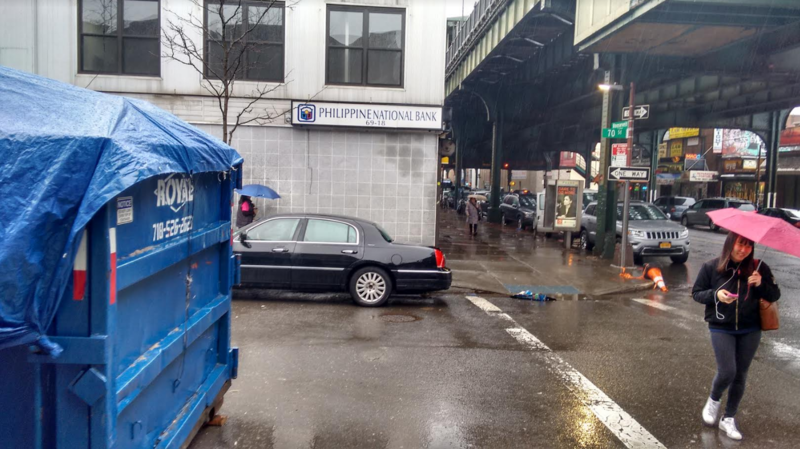 A Filipino community center that was once located on 59th Street just off of Roosevelt Avenue closed not too long ago; there hadn't been enough funding to operate and pay the rent. Immigration worries brought about by the the new U.S. administration’s policies, and the political situation in the Philippines and its impact on the Filipinos working here who are sending money home to their families, are also major concerns. Fil-Ams (or Phil-Ams), a popular shortened moniker for Filipino-Americans, are very politically active, says Raga. An example: Recently, several of their organizations—the National Federation of Fiipino American Associations, the National Alliance for Filipino Concerns (NAFCON), the Philippine American Democratic Club and Anakbayan, a youth group—joined forces to help persuade Woodside’s Community Board 2 to vote down a projected expansion of a mega-church on Roosevelt Avenue. Expansion plans include a new five-story building that would be much taller than any around it and would require a variance which would, according to the Fil-Am groups, alter the look and feel of the neighborhood. They also contend that the three-year construction process would impact negatively on small businesses by taking away parking in an area where many of the shops and eateries depend on customers from outside the neighborhood. Aries DelaCruz, president of the Filipino American Democratic Club of New York, explains her group’s objections: “Any expansion of any building, whether it is a church or a private residence, demands the consent of the people who have the most at stake. That's why Filipino Americans, and indeed just about every resident in Woodside, wholeheartedly stand with the members of Community Board 2 who unanimously oppose the request of the church developers to break our community's zoning laws for their private interest." One of the first businesses to open along Roosevelt Avenue decades ago is the Phil-Am Food Mart at 40-03 70th Street, right off the avenue. 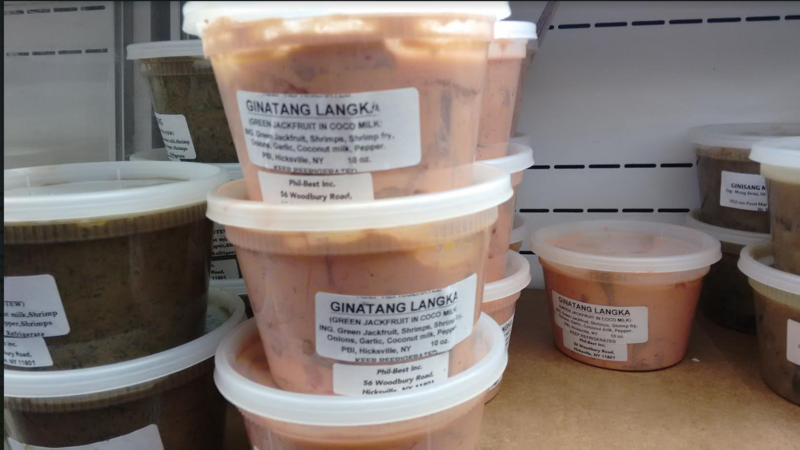 Phil-Ams hail from all over—other parts of Queens, Westchester, and the Bronx— to stock up on their favorite Filipino foods. 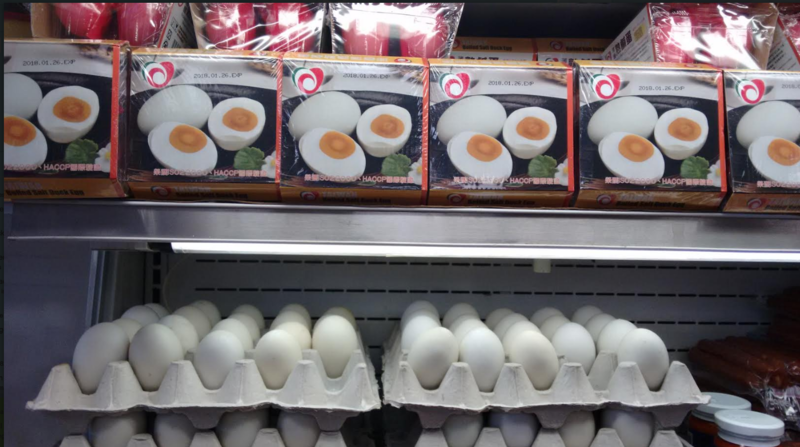 Ninety-five percent of the merchandise in the store is Filipino, including prepared foods, pan de sal (Filipino rolls baked in New Jersey that are the staple of many meals), salted eggs and balut, a popular street food that is a fertilized duck egg incubated for 14 to 21 days, then boiled or steamed and eaten directly from the shell. 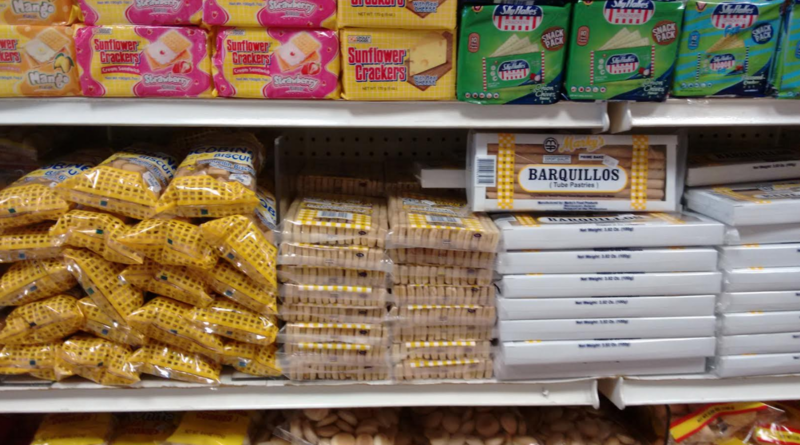 And if you want to cook a Filipino dish at home, you’ll find everything you need at Phil-Am. For instance, to make the popular stew called laing you will need taro leaves and bagoong—a very typically Filipino shrimp paste. Probably the most popular and unique-to-the Philippines condiment is banana ketchup which you will certainly find on Phil-Am’s shelves. (It tastes a little sweeter, but is similar to, regular ketchup.) It’s used as a dipping sauce, to spread on sandwiches and to slather on French fries. Filipinos like their food sweet and salty and, according to Raga, with lots of butter, and Woodside has plenty of places where you can get just about any Filipino food you like. (The cuisine has similarities to Spanish food, but with a twist; Spain occupied the Philippines for more than three centuries.) 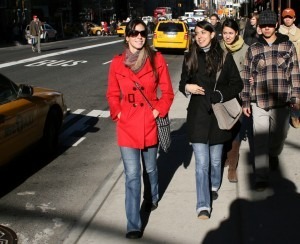 For a relatively small strip, Roosevelt Avenue has lots of cafe, restaurant and bakery choices. 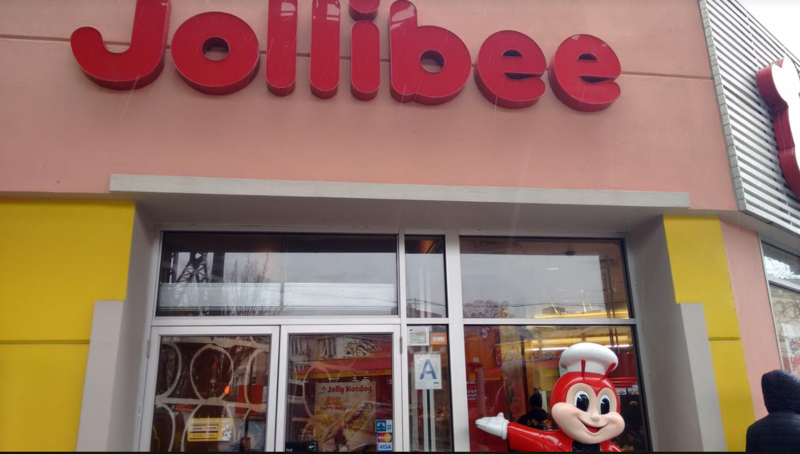 Jollibee, an enormously popular fast food chain that originated in the Philippines and has gone global has an outpost at number 62-29 (pictured below); Raga says the food is “too delicious —I try not to go too often.” He likes the spaghetti— much sweeter than the Italian version— and the peach mango pie. DelaCruz likes Ihawan, too, as well as House of Inasal, a relatively new restaurant addition to the neighborhood that serves grilled meat along with other comfort food, including minced fried milkfish (which tastes much like sole) and rellenong tortang talong, an eggplant omelet with ground pork. The owner-chef is a former line cook at Craftbar and Nobu. Promdi Kitchen & Bar, at number 69-16 Roosevelt Avenue is a popular place to party with live music and entertainment. It's "more of a nightclub atmosphere than a restaurant, but still with a very good menu,” says DelaCruz. D’Haven, at 58-02 37th Avenue is a bar that attracts all ages, a place where you can catch a live band and do something that is rare for a NYC bar—ballroom dance. Karaoke fan? The second floor of Krystal’s has a buffet and karaoke starting at 5 pm every day except Sunday. A bulletin board outside of Phil-Am Food Mart has postings of rooms and apartments for rent in the neighborhood. This informal, skip-the-broker method is popular; the vestibule outside of Krystal’s is another spot to check if you’re apartment-hunting here. Shari Markoff, a broker with Douglas Elliman, says that signage outside properties for sale work well in Woodside so if you’re interested, a stroll around the neighborhood is a good idea. Markoff explains that new residential development in Woodside is not likely since “there’s just no vacant land to develop.” A six- or eight-unit building might occasionally be built where a two-family home once stood, but no massive apartment towers are in Woodside’s future. 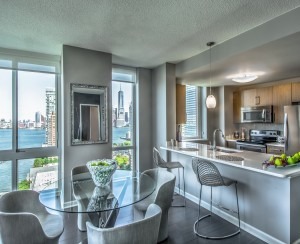 Condo conversions are becoming more and more common, though, for anyone in the market to buy in the neighborhood. According to StreetEasy, the median price for a one-bedroom co-op in the neighborhood is $275,000. The median price for a one-bedroom rental is $1,798; two-bedrooms are $2,300 and three-bedrooms $2,500, according to the site. 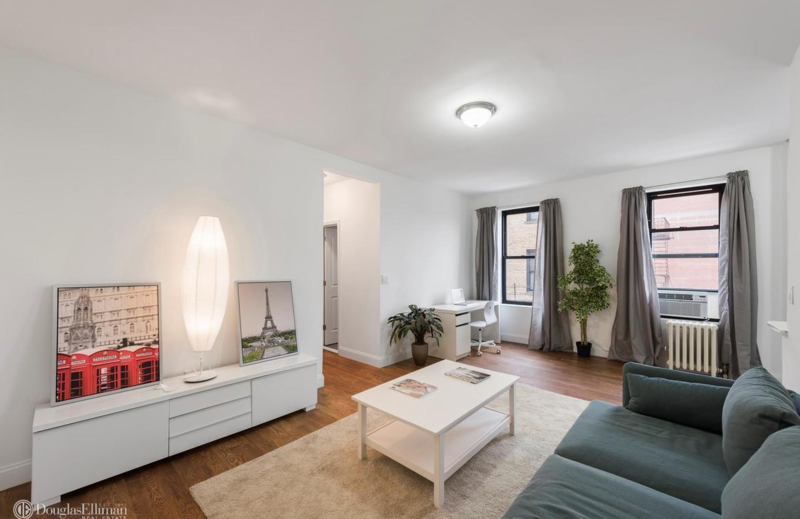 A 769-square-foot one-bedroom in a prewar at 61-09 39th Avenue is asking $535,000. 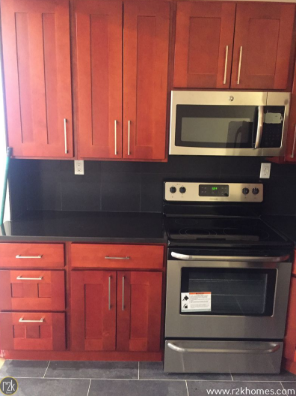 The apartment, in a recently renovated condo building with a few other one-bedroom listings currently available (ranging from $490,000 to $545,000), has hardwood floors and an eat-in kitchen.